It’s an amazing feeling when you first write a script that makes your phone buzz. Owning a phone with the ability to text is common, even in poorer countries. SMS, or short messaging service, is the technology that enables texting. 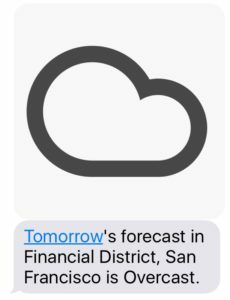 You can use SMS APIs to send and receive messages. Some of the most interesting uses of SMS APIs have the entire application within the text messages. Your users can essentially have conversations with your application–or other users, with you being the middle ground ensuring anonymity. Two factor authentication is also another common reason that every developer should be looking at SMS APIs. 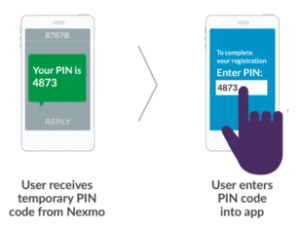 Nexmo explains two factor authentication. Send time sensitive notifications: if your users have appointments to keep, text a reminder the day before. Or ping them with other important information, such as a change in their account status, or similar important events. Anonymous chat: connect two or more of your users with a real-time chat via SMS. There’s no need to share someone’s private mobile number when you can be the safe intermediary between parties. Two factor auth: if your user has changed browsers or your data is important enough to add another level of security, use SMS to send a code. There are hundreds of wireless providers. SMS is fragmented when you consider the entire market. However, the SMS APIs listed here provide a layer between developers and wireless companies, helping your application’s text messages reach the proper mobile device–or incoming messages reach your application. Still, geography plays a role with SMS, and it’s worth investigating the locations where your SMS API provider focuses. Also, consider the size of the company behind the API. Tropo, for example, was acquired by Cisco in 2015, which increases its likelihood of an enterprise focus, but also may make it a less risky choice. That said, the market is dominated by Twilio, which was the earliest of the group to market and the first to really understand creating products for developers. For most developers, as with Stripe for Payment APIs, its Twilio’s comparison to lose. 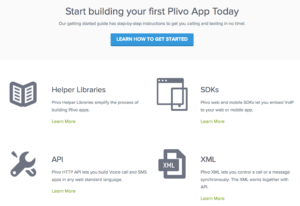 Plivo has robust documentation for getting started. LOL. YMMV depending on who you choose for your SMS API provider. Texting has become an important part of the consumer experience, and therefore it is now easier to integrate into your applications. As with Voice APIs, Twilio led the way in creating a developer-friendly messaging platform. It’s unsurprising to see Twilio ranked at the top of the DX Index, but you may raise your eyebrows when you see who is there with them. Plivo and Twilio both provide getting started guides, sample applications, and SDKs across most popular programming languages. Twilio has moved up the chain over the last few years, selling to more enterprise customers, which provides an opportunity for others to increase their relative developer experience. Only small player 46Elks provides any interactive documentation experience, allowing someone to send an SMS from their site. Still, Twilio gets you to code faster by providing cURL snippets that can send that text right from your terminal. MMS, or Multimedia Messaging Service, allows you to send or receive photos via the SMS API. There are only two of the providers covered in this comparison that have MMS support. Twilio has robust support for all US and Canadian numbers. 46elks has fully documented support, but not all numbers support MMS. Also, you need to contact 46elks for pricing. Nexmo, Plivo, and Tropo do not support MMS.